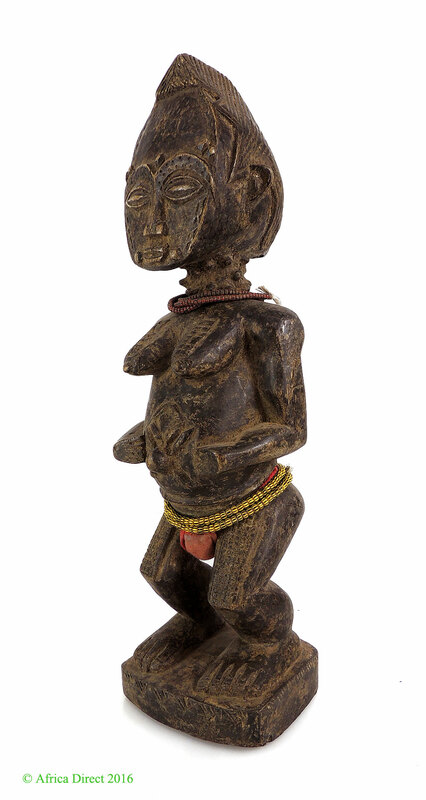 Baule figurative statuary is some of the best known and most collected. 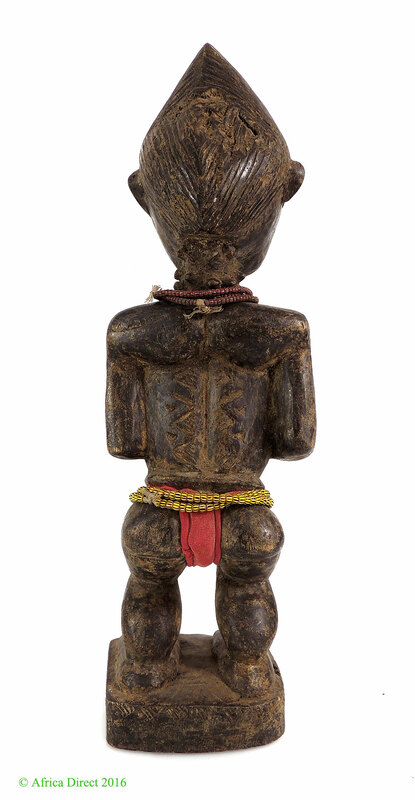 Finely carved male and female figures ranging from large to small sizes. Attention is focused upon the head with emphasis given to detailed face and neck scarification and elaborate coiffures. 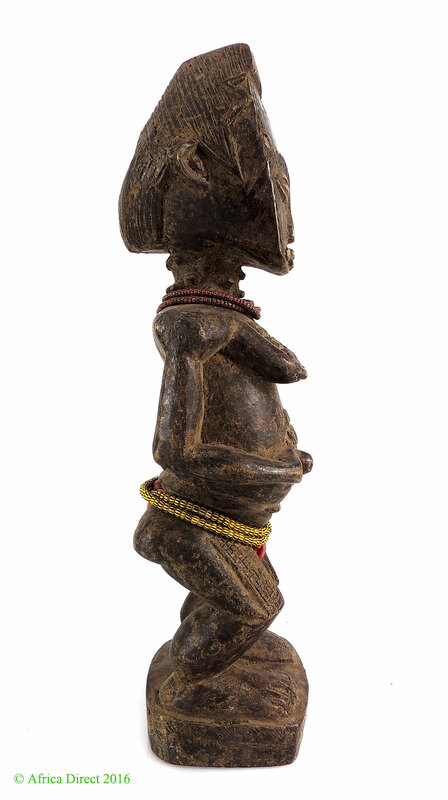 Baule figure sculptures fall into two categories, the first represents spirits of the wild (asie usu) that live in the bush beyond village boundaries and the second are male and female figures that represent ‘spirit world’ spouses for their owners. ‘Other world spouses’, are kept in personal shrines where offerings are made to them and where they are close by their real world spouse. The figures reflect Baule ideals of beauty and aesthetics as the female (blolo bla) and male (blolo bian) figures exhibit youthful, well formed bodies and with much attention to details of hair and scarification as well as being dressed in what is considered fashionable and in recent times in European style clothing. The well-carved figures are burnished to a dark glossy patina from much handling when being treated with the respect due an ‘other world spouse’. Recommended Reading: Vogel's BAULE-AFRICAN ART WESTERN EYES. 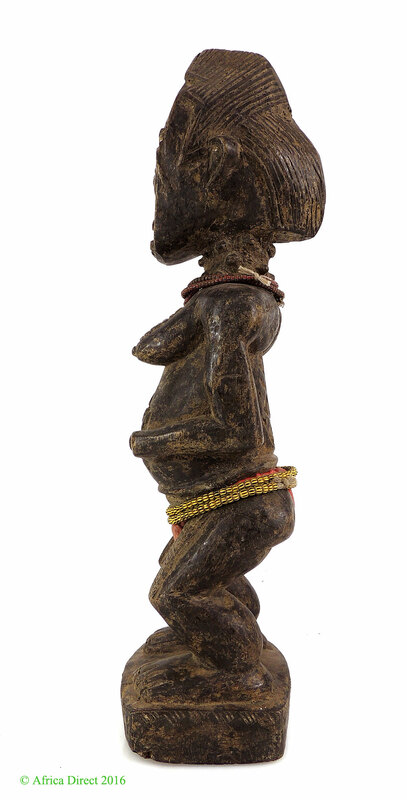 This book has a wonderful, lengthy description of the rare Blolo Bla and Blolo bian figures.